Where is the "Invoice Number" Field and How Can I Change It? 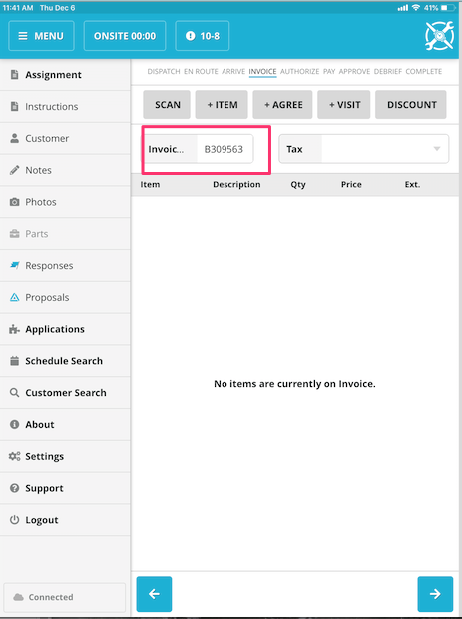 The invoice number field box can be changed in Step 4 - Invoice. All the Tech needs to do is tap on the text field box and use the electronic keyboard to change the invoice number.